Want to see inside Clary and Jocelyn’s house? 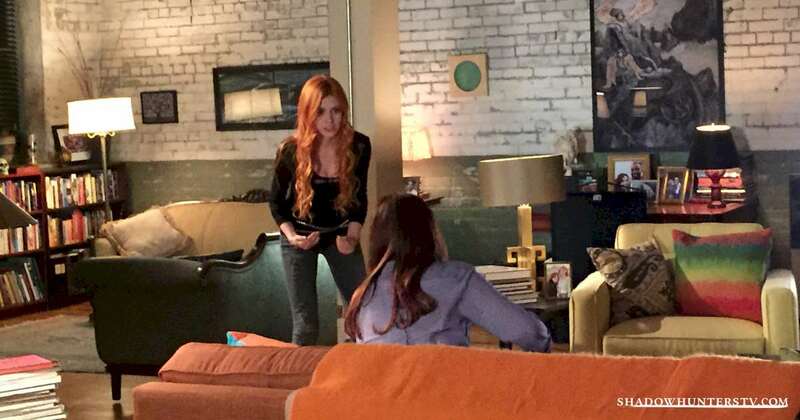 Shadowhunters TV has shared photos from inside the Fray household, giving us looks at the interior design, picture frames, art, and a scene from filming in which it looks like Clary is in an argument with her mom. You can also watch a video of a scene being filmed of Simon giving Clary a piggy back ride inside her house. How cute! Shadowhunters premiers in early 2016 on ABC Family. This looks more like a NYC artists apartment that I envisioned when reading!